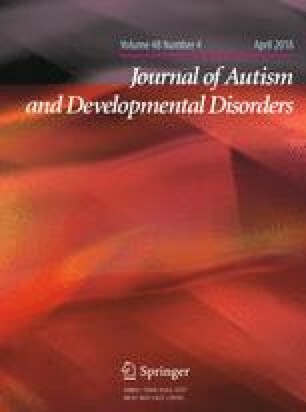 We report on parent outcomes from a randomized clinical trial of parent training (PT) versus psychoeducation (PEP) in 180 children with autism spectrum disorder (ASD) and disruptive behavior. We compare the impact of PT and PEP on parent outcomes: Parenting Stress Index (PSI), Parent Sense of Competence (PSOC), and Caregiver Strain Questionnaire (CGSQ). Mixed-effects linear models evaluated differences at weeks 12 and 24, controlling for baseline scores. Parents in PT reported greater improvement than PEP on the PSOC (ES = 0.34), CGSQ (ES = 0.50), and difficult child subdomain of the PSI (ES = 0.44). This is the largest trial assessing PT in ASD on parent outcomes. PT reduces disruptive behavior in children, and improves parental competence while reducing parental stress and parental strain. The online version of this article (doi: 10.1007/s10803-017-3339-2) contains supplementary material, which is available to authorized users. We would like to thank our team for their contributions to this project: Jill Pritchett at Ohio State University; Laura Simone at Yale TrialDB; Yanhong Deng, Saankari Anusha Challa, Denis Sukhodolsky, James Dziura, and Allison Gavaletz at Yale; Carrie McGinnis at Indiana University; Rachael Davis, David McAdam, Bridget Reynolds, Melissa Sturge-Apple, and Amit Chowdhry at University of Rochester Medical Center. We also thank the Data and Safety Monitoring Board: Gerald Golden, M.D. (retired pediatric neurologist), Christopher Young, M.D. (Medical Director of Wellmore Behavioral Health, Waterbury, CT and Martin Schwartzman father of a child with autism). This work was funded by the National Institute of Mental Health by the following grants: Yale University/Emory University MH081148 (principal investigator: L. Scahill); University of Pittsburgh/University of Florida MH080965 (principal investigator: C. Johnson); Ohio State University MH081105 (principal investigator: L. Lecavalier); Indiana University MH081221 (principal investigator: N. Swiezy); University of Rochester MH080906 (principal investigator: T. Smith). Additional support was provided by MH079130 (principal investigator: D Sukhodolsky), the National Center for Advancing Translational Sciences of the National Institutes of Health under Award Numbers UL1 TR000454 (Emory University), UL1 TR000042 (University of Rochester), UL1 RR024139 (Yale University) and the Marcus Foundation. We thank the families who participated in this study. SI participated conceived of the current study analyses, participated in its design and coordination, and drafted the manuscript; LL conceived of the current study analyses and drafted the manuscript; BH participated in the study design, performed the statistical analyses, and assisted in drafting the manuscript; TS conceived of the original study, participated in its design and coordination, assisted with data interpretation and helped to draft the manuscript; LL conceived of the original study, participated in its design and coordination, assisted with data interpretation and helped to draft the manuscript; CJ conceived of the original study, participated in its design and coordination, assisted with data interpretation and helped to draft the manuscript; NS conceived of the original study, participated in its design and coordination, assisted with data interpretation and helped to draft the manuscript; KB conceived of the original study, participated in its design and coordination, assisted with data interpretation and helped to draft the manuscript; LS conceived of the original study, participated in its design and coordination, assisted with data interpretation and helped to draft the manuscript. All authors read and approved the final manuscript.